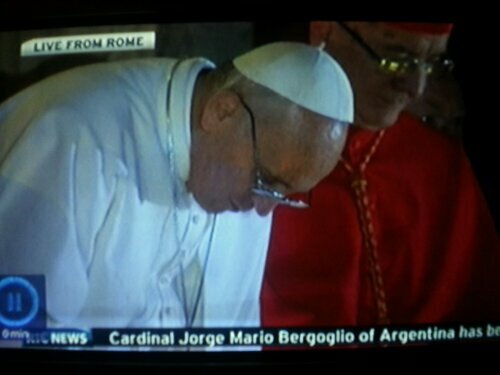 So the day the Catholic Church elected a new Pope had to be marked. Now don’t get me wrong, church ain’t for me, but it’s still an historic occasion. So live TV coverage and extended news as the new Pope was announced and shown to the world, so welcome Pope Francis, or Frank as he will be known as fairly quickly in Dublin.